“We thought we would only raise £11m, but investors spoke to us about wanting to make sure we had the best wind behind us, so they encouraged us to draw down extra funds,” he added. The firm’s findings can be used to find gaps in treatments so that future treatments can be targeted more efficiently. “It seems strange to do this within the midst of Brexit, but the success speaks to the strength of Diaceutics, and we are the first AIM initial public offering (IPO) of the year so far. 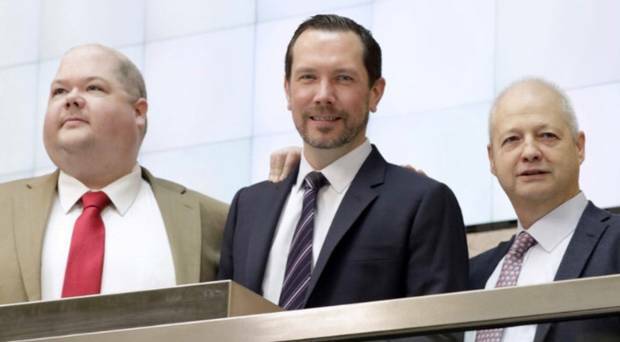 “Other people were wary of bringing forward an IPO, but people told us, ‘Your story is good. Go through the various regulatory and compliance processes and we’ll support you’. Diaceutics has joined two other Northern Ireland firms on the AIM – First Derivatives and another Clarendon portfolio company, Fusion Antibodies. Belfast-based IT firm Kainos is listed on the main stock exchange.